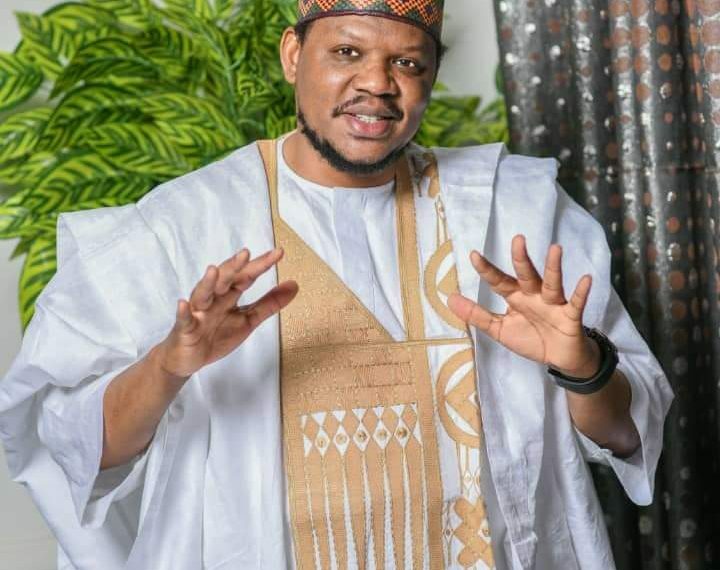 A presidential aspirant on the platform of All Progressives Congress (APC) before he lost out to President Muhammad Buhari, Adamu Garba II, has thrown his weight behind the president in his quest for reelection into office. Garba, who is CEO of IPI Solutions, reassured his commitment to fully support the returning President through an official statement to the general public. The Luggere, Jimeta, Adamawa State-born politician, claimed he spent most of the 1990s knowing presidential candidate of the Peoples Democratic Party (PDP), Atiku Abubakar, as the undisputed political figure. Said he, â€œIn the early 1990s, there was a build up by different interest group for urging a return of Nigeria to democracy. â€œAs the momentum generate international interest, the government of the then Gen. Babangida decided to plan on how to retain control should the move became successful. â€œPart of the move was the establishment of patronage-driven policies, e.g many govt agencies, the creation of more states to appeal to political interest and putting these institutions under political cronies. Those institutions eventually, became the drain pipes of Nigeriaâ€™s wealth. â€œWith the coming of democracy in 1999, PDP inherited most of these institutions by further extending it to accommodate much larger political interest group. â€œAppointments into those agencies became a political bargain for â€˜Returns on Investmentâ€™ to political leaders. The â€˜Returns on Investmentâ€™ is what we see, when after winning an election, various interest groups will lobby for important positions, based on hierarchy, from a juicier position to less juicy positions depending on the level political leadersâ€™ â€˜investmentâ€™ to establish power. â€œThese are the reasons why PDP after 16 years in power and getting so much money from Nigeriaâ€™s commonwealth, has little to show in terms of building a country of hope for the future. â€œMost of the monies were siphoned through juicy agencies to political principals. â€œContinuing to pursue that path means the more the money the country generates, the more the expanded the pocket of the political principals and their cronies, the worst the be the future of the youth of Nigeria, few of whom are living from their parents proceed from patronage. â€œSome of the children of those in political patronage class succeeded in getting the best education etc. Continuing, Adamu Garba II commended the incumbent President Buhari for been bold and daring to confront issues silently weighing Nigerian economy down, he also beckons on the citizens to be patient and give Muhammad Buhariâ€™s regime another chance. â€œFor the first time since the early 90s, we have a govt that dare to press a reset button on those institutions of drains, following through carefully, though strategically and silently, identifying these drains and sealing them one after another. This is the government of Muhammad Buhari. â€œThose pipes were the ones that contribute to our artificial growth, but also with high inflation that over time affected most of us. We all thought that we are better off 1999-2015, but it was clear to me, after investigation, that we were living in a bubble as a nation. â€œUnfortunately, when President Muhammad Buhari was sworn in as the new leader of Nigeria, his attempt to press a reset button busted the bubble and behold, we got into recession in 2016, that created an unbearable hardship to fellow citizens. The consequence we still feel today. â€œBlocking of those drain pipes by creating a new path of transparency, probity, and accountability, to me is more important for the Nigerian Youth, than continuing the previous method of racketeering, secrete money diversions and rampant corruption that threatens to destroy our country. â€œWhat I found out, was this is the reason why we fell into recession, have a lot of job losses and economic turmoil, but interestingly, the graph is turning to the positive slope and with infrastructure investment etc, the government is on the right track. â€œWe have already invested a priceless 3.5 years bearing the burden. It is only wise enough to bear a while and give the current administration our trust and confidence so that our country, Nigeria can be refreshed for us. â€œIâ€™ll continue to love, respect and value Atiku for his astute desire to get Nigeria working again. However, on the notes highlighted above, based on my findings after an investigation, I choose continuity. I go for APC Nigeria; I prefer the Next Level. I urge us all to consider that. â€œTo our supporters, our team members letâ€™s be patient and continue to support the President Muhammad Buhari and Prof. Osinbajoâ€™s administration. â€œIn my state, Adamawa, I will support the government APC under Governor Bindow Umaru Jibrilla. Before what will you do?